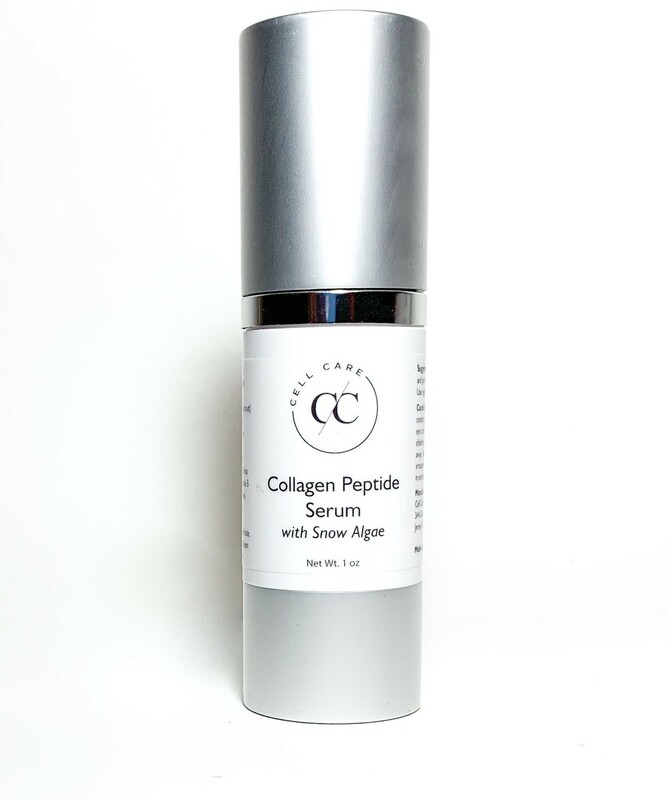 Progressive complex with synergistic combination of Peptides, Snow Algae, and Hyaluronic Acid. May soften wrinkles and produce smoother healthier appearing skin. A moisturizing serum that may help regenerate, moisturize, firm, and brighten the appearance of dull, damaged, wrinkled, overexposed skin. This powerful, deeply nourishing, serum dramatically helps diminish the appearance of fine lines and wrinkles, leaving skin radiant and younger looking. Contains natural ingredients which cause slight variations in tone and can change over time. Suggested Use: Pump small amount on fingers and pat or massage in lightly onto face and neck. Use nightly or every other day. Suggested Precautions: For external use only. Avoid direct contact with eyes. Rinse with water if direct eye contact occurs. Keep out of reach of children. If swallowed, get medical help right away. Stop use and ask a doctor if rash or irritation develops and persists. Do not store in extreme temperatures. All products are made from top ingredients. Mostly organics and tested to prove they work. Whether you are fighting acne, wrinkles, age spots, hyper-pigmentation, and dullness. Let us help you in the road to beautiful flawless skin. Everyone has a different skin types. Everyone has a different journey in trying to perfect their skin, whether trying to look young forever,fight acne, or just be able to maintain their natural beauty we have something for everyone. We are a small company but are growing fast and testing new ingredients to grow even more.